Now newly restored! 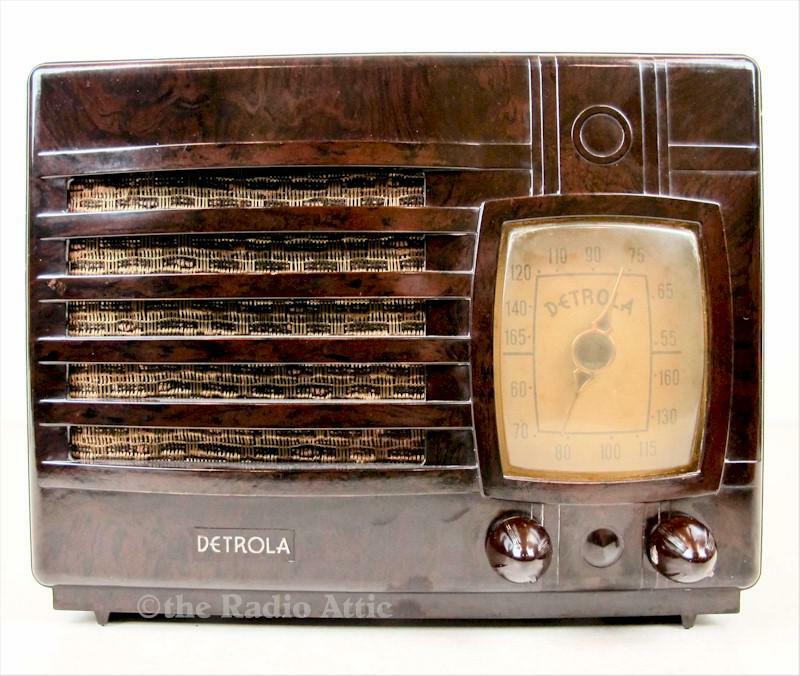 Here's a truly classic Art Deco Bakelite radio from Motown. The Detrola's cabinet is a perfect original and retains the swirled chocolate gloss. The rarely found "Detroscope" backing is intact to accommodate the built-in antenna. The Detroscope certainly distinguishes it from those with a plain rear covering. It even includes those delightful bullet knobs. It's an iconic and unique radio that has been electronically restored and plays very well. It weighs 6 pounds; 9"W x 7"H x 6-1/2"D.